This session is for anyone who would like to learn to play pickleball or brush up on their game. there will be plenty of time to work on different skills with individual instruction as needed. for the opportunity to play. Courts will be designated for Recreational and Competive play. Bring your own paddles or use ours! 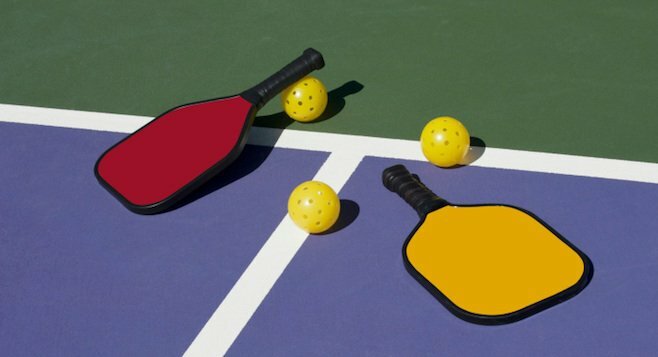 Drop-ins as space allows : $10/player, or purchase a Pickleball Punch Card: $60 for ten evening sessions to be used for any evening/weekend Pickleball Play. Contact Eileen at eileen@tyngsborosportscenter.com to setup private lessons or semi-private lessons for a group. Cost: $5/player or purchase a Pickleball Punch Card: $40 for ten daytime sessions to be used for any midweek/daytime Pickleball Play. when done playing. IF you are looking for a group to play with during one of these time frames, email eileen@tyngsborosportscenter.com to get your name in a player pool. be played either as doubles or singles.